Bolton is well located and easily accessible. 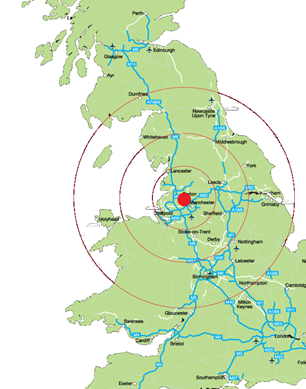 Bolton is situated in an enviable location – just 10 miles northwest of Manchester and 20 miles from Manchester Airport. With two direct train lines into Manchester (set to benefit from electrification and additional routes within the year), as well as excellent motorway links we are a well-connected borough. But as well as facing into Manchester and the opportunities it provides for our people and businesses, we face out to moorland and the Lancashire plains - nowhere in Bolton is more than a few minutes from open green space, which makes it an attractive and popular place to live. The town is surrounded by several smaller towns and villages that together form the Metropolitan Borough of Bolton, of which Bolton is the administrative core. The town of Bolton has a population of 139,403, whilst the wider metropolitan borough has a population of 283,100. Bolton Council is one of 10 local authorities that make up the Greater Manchester Combined Authority. Bolton is a vibrant, welcoming place to live, work or visit. With strategic employment and residential developments such as Logistics North and Rivington Chase taking shape, the council is keen to deliver economic, social and environmental benefits across the borough. The town centre has seen a range of physical developments in the last few years, with £260m of public and private sector investment across a range of sites, including a £40m state-of-the-art Transport Interchange. Supporting the vision to create a destination of distinction, the current programme of activity provides exciting and real change for Bolton town centre. The recently launched Town Centre Masterplan, with an additional £100m of development funding, will secure sustained growth and is expected to realise investment of £1bn from private sector partners (www.investinbolton.com). The borough has lots to offer from museums jam-packed with ancient artefacts to breathtaking countryside and everything else in between, award-winning attractions, behind the scenes tours, fast-paced sport and leisurely country walks. Bolton has some stunning countryside and is ideally located close to the scenic West Pennine Moors. Whether you are a dedicated rambler or an occasional lover of fresh air and fantastic views, Bolton’s countryside has a lot to offer you. With superb moorland scenery set amidst miles of countryside and lakes, you can walk or cycle for hours but always find a top spot for a picnic. The University of Bolton, formerly the Bolton Institute of Higher Education, gained university status in 2005. 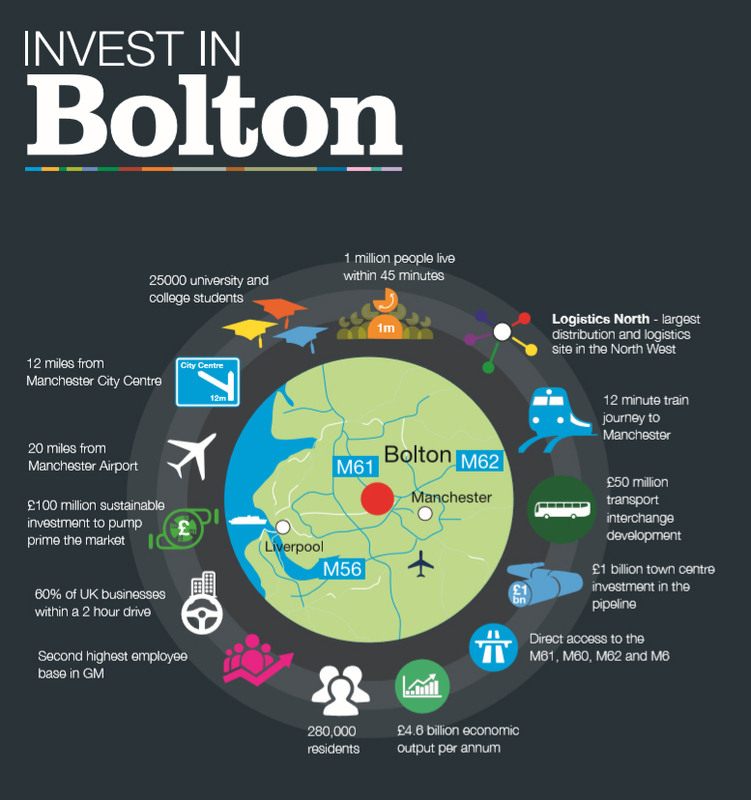 Why should you invest in Bolton?